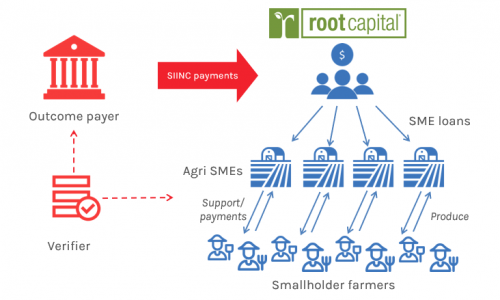 SIINC LATAM is a multi-year program implemented by Roots of Impact and its partners the Swiss Agency for Development Cooperation, Ashoka, New Ventures and IDB Lab. Through this program, partners support impact enterprises with premium payments for positive outcomes as part of the next financing round. You will find detailed information about the Social Impact Incentives (SIINC) mechanism here. Starting in 2019, we are looking to provide SIINC to impact enterprises in Latin America and the Caribbean focused on VOCATIONAL SKILLS DEVELOPMENT (VSD) and preparing to raise investment. In particular, we are looking for training providers that develop technical, social, professional or/and personal skills and qualifications that contribute to sustainable long- term integration of trained people in the world of work or workforce in the area of Vocational and/or technical education and training. Applications are now open. You can either fill out the online application form or download the offline form (print and submit by email). Deadline: April 22, 2019, 11:59 pm CET! Please check out our SIINC FAQ. SIINC LAC is the first project implemented within the program. We have already supported three ventures in the health, off-grid energy and agriculture sectors with payments based on outcomes. If you are curious to learn more about the impact enterprises within this program – Clínicas del Azúcar, Village Infrastructure Angels and Inka Moss -, detailed case studies can be found on our main SIINC page. The application process continues to be open. For application details and forms, please contact Dr. Rory Tews.